Millwall battled hard and came away with a well deserved point in a 0-0 draw against Preston North End at Deepdale. Following last weeks 1-0 win against leaders Leeds United, the Londoners were up against another Championship top 4 team in Preston and the Lions did not disappoint as their resilience held up well against their promotion chasing rivals. Millwall stay in 16th position but are now unbeaten in the last 3 games with decent performances in each and the defence looking steely and solid, something you couldn’t have said about the Lions back 4 earlier in the campaign. In truth it wasn’t the most glamorous game with few chances for either side but a point is a point is a point. 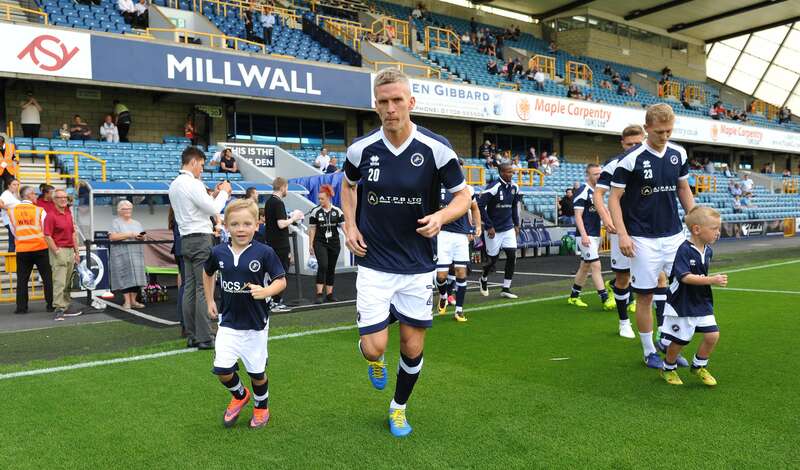 In a game no-one is going to remember in six months time, Millwall fought hard for this point and Steve Morison came closest for the Lions but fired over in the first-half. The Lions started well enough and did have the chance to take an early lead when George Saville’s shot was parried away by Chris Maxwell. Preston went close when Tom Barkhuizen cut into the area from the right-hand side and his low show was tipped wide of the far post by Jordan Archer in between the Lion’s sticks. Sean Maguire sliced the ball into the side-netting from eight yards just before the break and that was it in a less than captivating first half. With 53 minutes gone Johnson slid Barkhuizen in behind and his low cross found Preston’s Josh Harrop with an open goal, but the forward couldn’t get enough contact as he lunged at the ball three yards out and it embarrassingly squirmed away. Preston had a lot of possession with 62% but couldn’t do much with it mustering just 2 shots on target although Millwall who have now scored in only one away trip in their five games this season only managed one shot on target. Preston North End did try and push for the win in the latter stages but the Millwall defence stood firm. The home team for their efforts have at least extended their unbeaten league run to six matches but found Millwall too impenetrable throughout. There was little further goalmouth action after the break, with Jed Wallace going closest for the Lions, flashing an effort just past the post after a flowing move. Preston have kept six clean sheets in their opening nine Championships matches this season, but it was a frustrating afternoon for the Lilywhites and manager Alex Neil. In fact Preston always find Millwall difficult customers as they have failed to find the net against Millwall in their last four meetings. It was very much a stop start game with both teams guilty of slowing the game down with 34 fouls in total and yet it wasn’t an overly physical or dirty game. “We knew it would be a tough match and they made it that way. We matched that but I’d like to see us do a bit better. It’s a home game and we wanted to win it. If you want to be at the top end of the table you have to win types of games like that. “I think it wasn’t the best quality performance by us. There were moments when we were disappointed in our attacking play, but we have to stand strong and get something out of the game and that’s what we did.